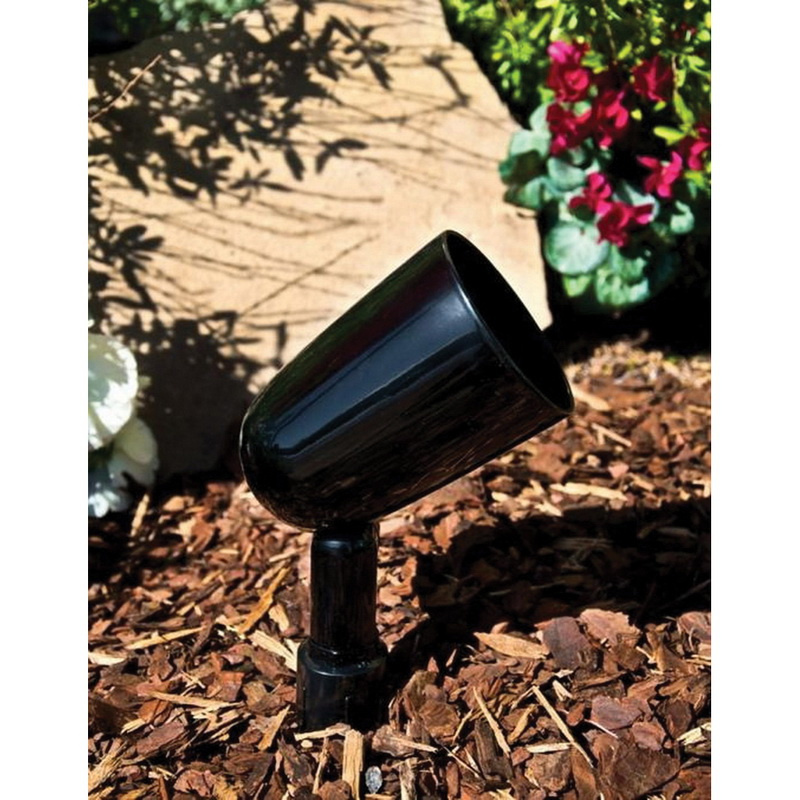 Philips Lighting Hadco® Bullyte, Nightlife® Collection Small accent light in black thermoset polyester powder-coated finish, features die-cast aluminum construction. Accent light uses 100-Watt HID lamp. The PAR20/R20 medium socket lamp has voltage rating of 120-Volts. Lamp has color temperature rating of 2700K. This accent light has a dimension of 3-7/8-Inch Dia x 8-1/2-Inch. Accent light is UL/cUL/ETL/cETL listed and meets ISO standards.